A personal training business built by a professional musician and NASM-CPT, CES, Music Strong offers 1-on-1 personal training, workshops and a comprehensive team to get you the best all-around results. We specialize in musicians, injury prevention and correction as well as mobile touring options. You do not need to be a musician to benefit from our services! Besides musicians, we specialize in post-PT and post-op strength training, senior fitness, Cancer fitness, overall strength, fat loss, mobility and pain management. We are a comprehensive fitness solution, give us a call and see how we’re different and what we can do for you! We understand that there is no “one size fits all” approach to you as a musician. No two musicians are alike: different schedules, different backgrounds, different goals, different likes and dislikes and different aches, pains and sometimes, injuries. 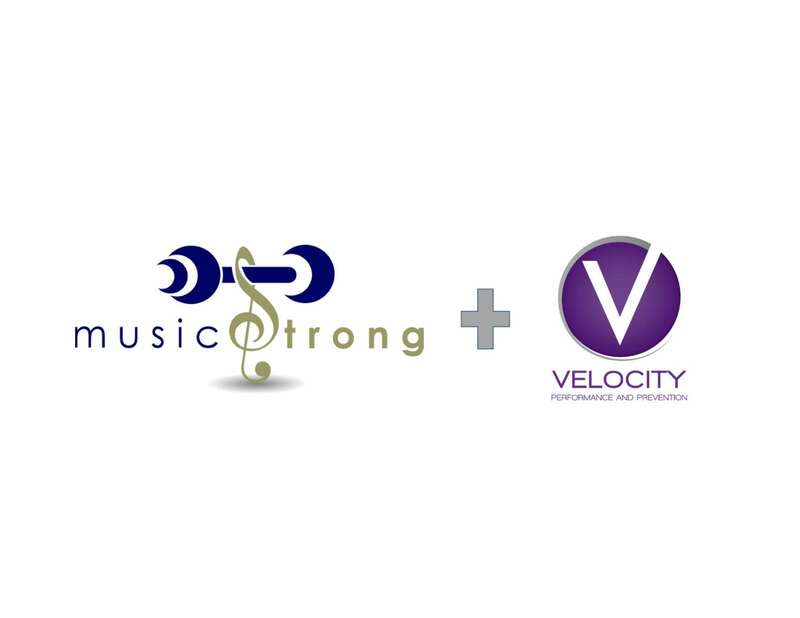 Music Strong is proud to announce that we have partnered with Velocity Prevention Physical Therapy to offer the absolute best in client care! What you should know: There are some things that are outside of a personal trainer’s scope of practice, knowing what is and isn’t in that scope is the mark of a knowledgeable and mature trainer. Velocity is able to provide comprehensive muscle testing, manual therapy and diagnosis in a way that compliments what we do in personal training to give you the most comprehensive workout possible. If you choose to take advantage of her services, you’ll receive a personalized assessment and treatment plan that you can use on your own and I can incorporate into our sessions that will allow you to progress even faster and see quicker results, than just training alone. She may schedule you a follow up within a month or two (depending on your situation and condition) but that’s it! Unlike traditional PT’s, she does not lock you into 12 sessions that mess with your already hectic schedule, and instead, you can just focus on our sessions together. Think you may be interested? Contact me and see if we may a good fit! We are currently looking for nutritionists and dieticians, massage therapists, chiropractors, counselors and performance anxiety coaches, entertainment health specialists, Alexander Technique teachers, body mappers, Feldenkrais practitioners and more!